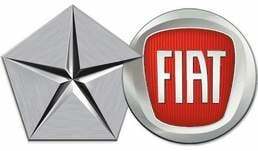 FRANKFURT -- Fiat S.p.A. will produce Chryslers at a recently acquired former Carrozzeria Bertone plant in Italy, Fiat-Chrysler CEO Sergio Marchionne said. Marchionne, who said that Chrysler's new, five-year post-bankruptcy business plan will be released in November, declined to reveal what cars will be built at the plant in Grugliasco, near Turin, or when production will start. Sources in Turin said the factory could resume production in late 2011. The first model built there most likely will be the replacement for the European version of the Chrysler 300C. The large sedan's U.S. launch is planned for early 2011. European production of the 300C is done in Graz, Austria, by Magna Steyr, the contract manufacturing arm of Magna International Inc.
Chrysler said that Magna Steyr also produces the Jeep Grand Cherokee. Both Chrysler production contracts end in mid-2010. Italian sources say that Fiat plans to use the next 300C as the basis for a new flagship for near-premium Italian subsidiary Lancia, which stopped producing its Thesis large car this spring due to poor sales. Eventually, the former Bertone plant also may make Jeep models for Europe from complete knockdown kits shipped from the United States, the sources said. In late July, Fiat bought the assets of collapsed contract manufacturer Carrozzeria Bertone from a Turin bankruptcy court. The same court sold the Bertone trademark back to the Bertone family.